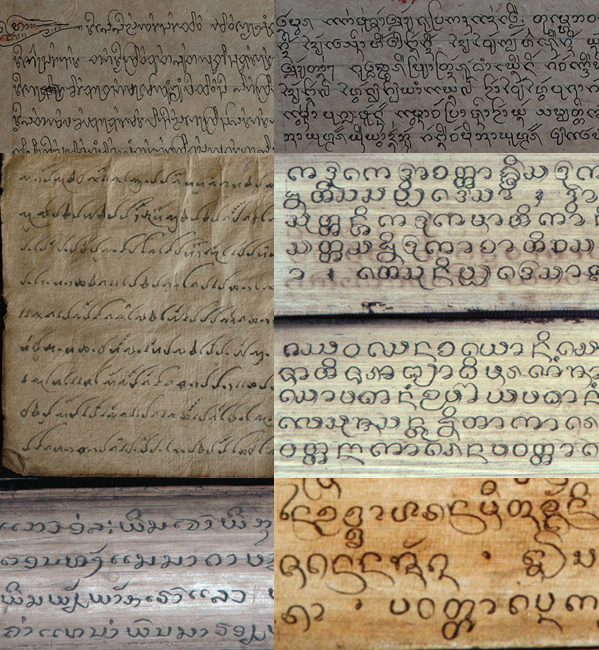 Lao Palm Leaf Manuscripts - digitized and online! Isn't it ironic that the oldest documents in Laos are now modernized and digitally accessible when many modern Lao literature still is not? There's an awesome website that was the result of years of work in preserving and cataloging palm leaf manuscripts from Laos. Often spelled as bailan (pronounced by lahn), palm leaf is probably one of the first methods used in publishing in Laos. This method of publishing has been in existence for centuries in Laos, initially and primarily for religious texts. However later on, people used them to record information, astrology, and so fourth. The oldest manuscripts cataloged were from the 15th century. 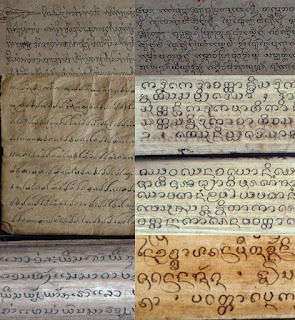 The initial project of cataloging and preserving the manuscripts began with the Lao Ancient Manuscripts Preservation Project in 1989 with collaboration from the National Library of Laos, Ministry of Culture and Information and the German government. The Digital Library of Lao Manuscripts which was a subsequent undertaking to digitize all the findings and to make them available online was started in 2007. It was a 3 year project and it involved the National Library of Laos, University of Passau, and the Staatsbibliothek zu Berlin Preußischer Kulturbesitz. It was an incredible undertaking. It's quite impressive. We're talking about thousands of manuscripts from across all of Laos ranging in languages (and scripts) from Lao, Pali, Lan Na, Tai Neua, Thai, Tai Lue, Tai Dam.